XENIA — The man who was the center of a manhunt earlier this month was arrested Jan. 18. Charles E. Dameron, 33, was taken into custody around by Xenia police with assistance from the U.S. Marshals without incident. 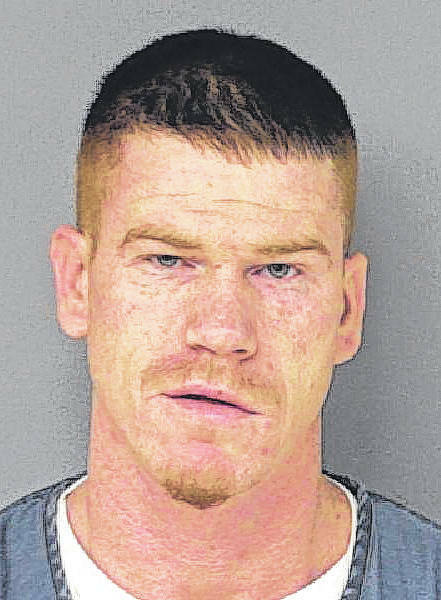 Dameron — who had a felony warrant for his arrested and was wanted for questioning in a Riverside shooting — fled from Greene County sheriff deputies around 6 p.m. Jan. 5, causing a chase in Xenia, according to Xenia police. Police, in a Facebook post, said there was information that Dameron had a small child, not his own, in the back seat of the vehicle when he fled. An hour into the manhunt the vehicle and unharmed child were found. Police also arrested Kazia M. DeHart, 30, who was with Dameron, on outstanding warrants. According to Xenia police, Dameron will be facing additional charges as a result of the arrest. He is currently in the Greene County Jail awaiting court action. Xenia Daily Gazette news report compiled by Scott Halasz. Our partners at WDTN contributed to this story.